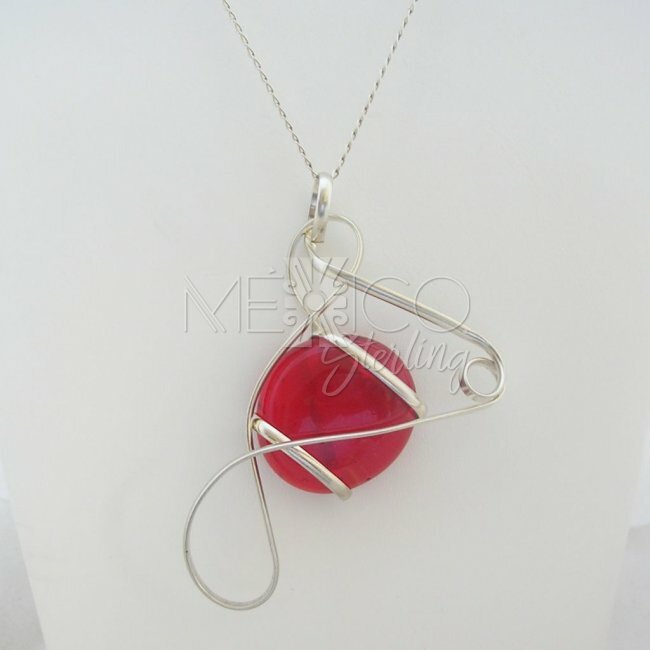 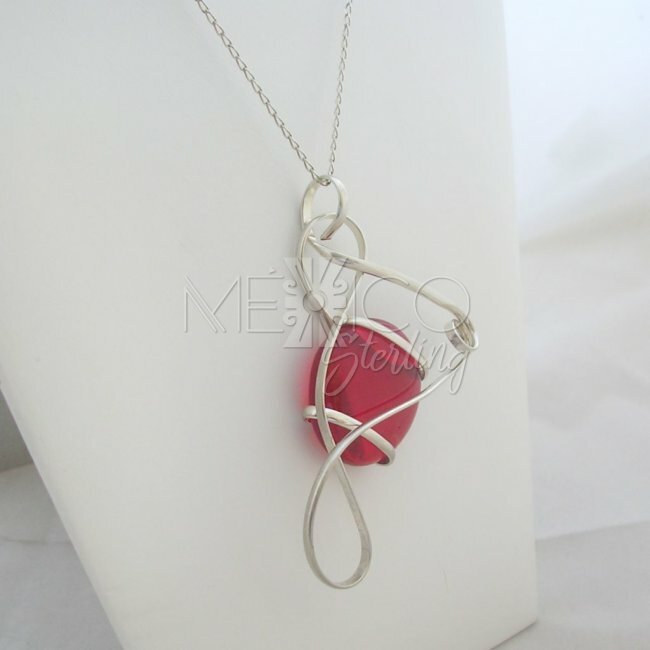 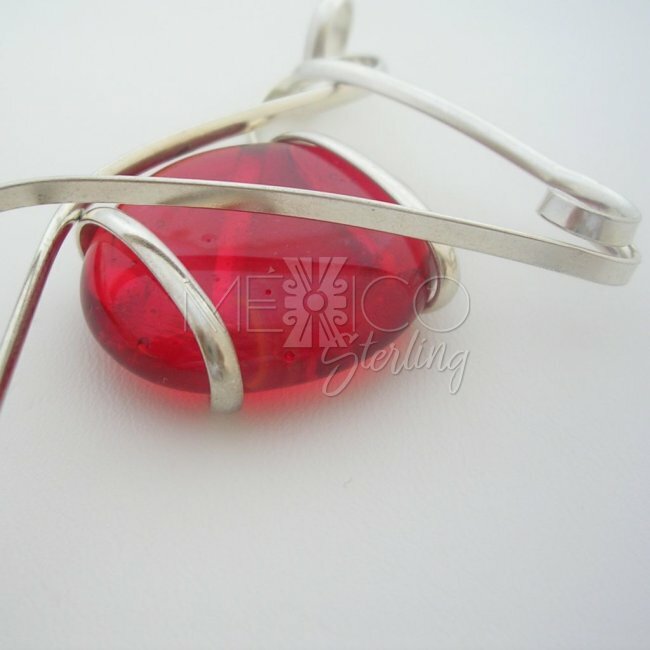 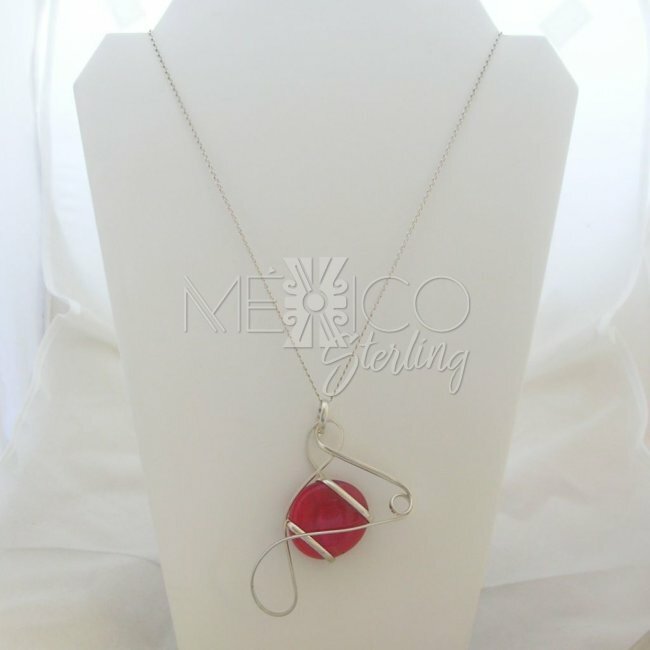 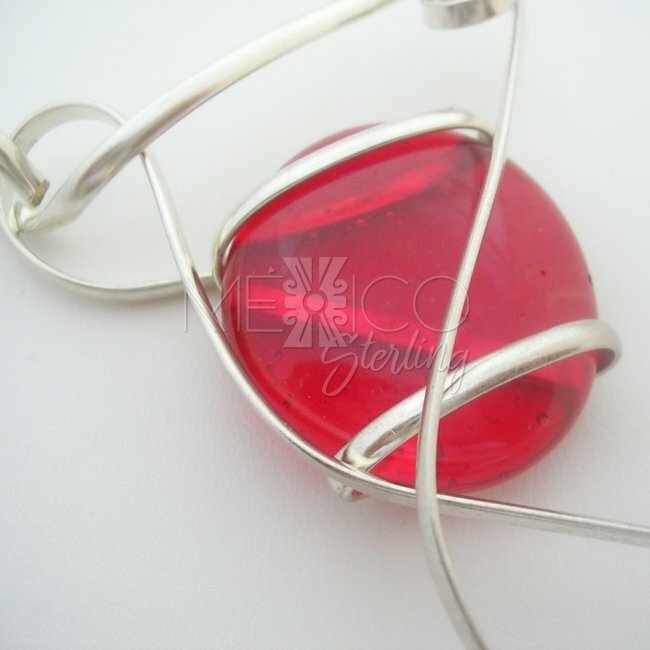 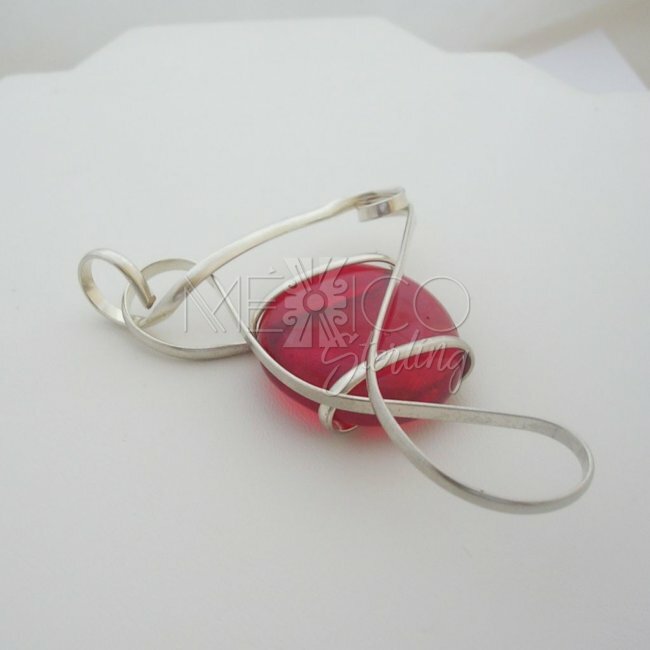 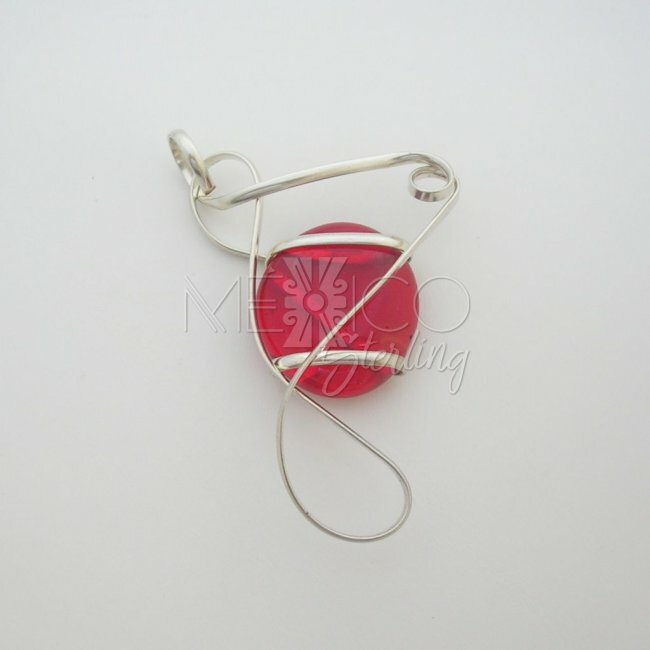 Silver Plated and Red Glass Pendant [SPJ2875] - $10.00 : Mexico Sterling Silver Jewelry, Proundly from Mexico to the world. 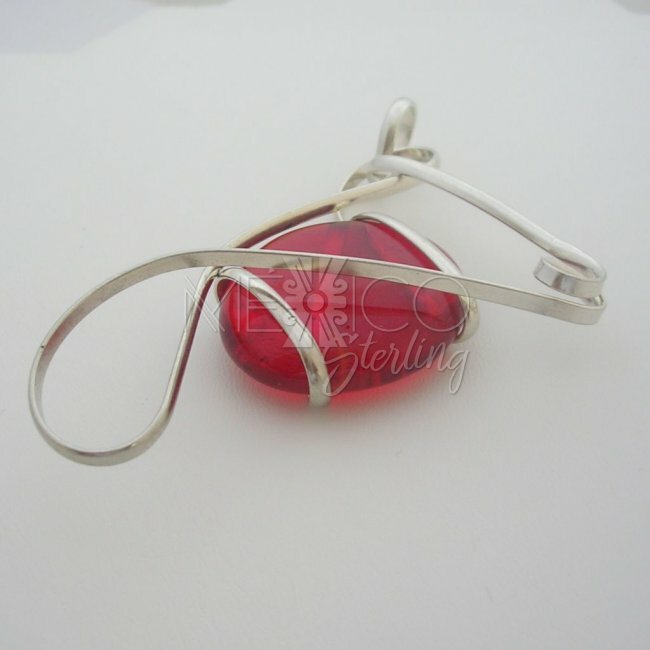 Dimensions: Width : 3" at its widest point Length : 3 1/2"
This intricate silver plated design, shows a very artistic composition. 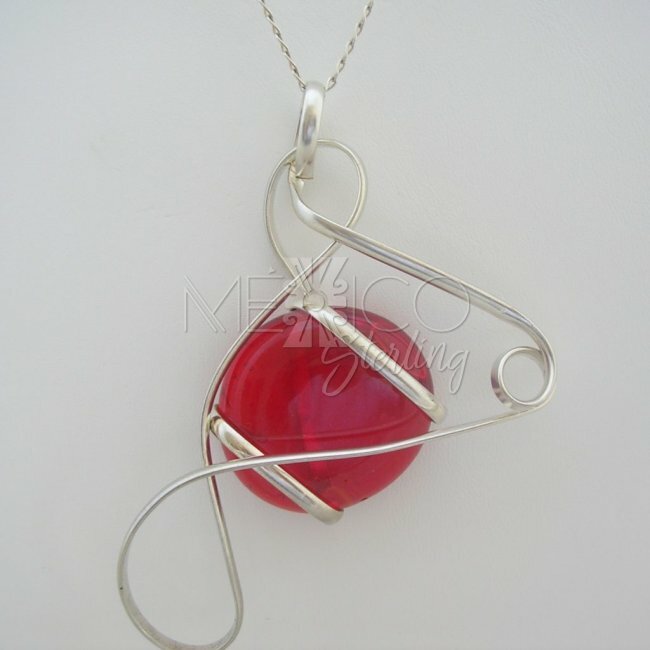 Wavy lines that turn and twist around a wonderful vivid red color glasss. 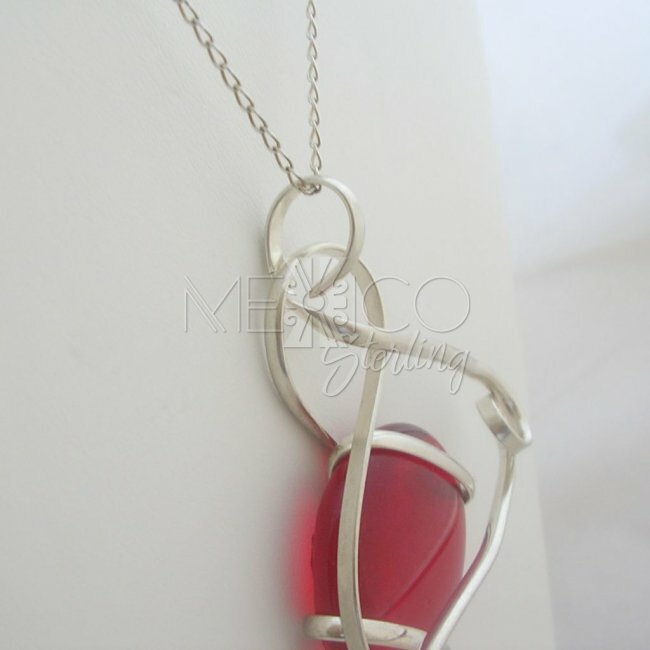 If you like bold and unique pieces of jewelry, this is right for you!